Okay, so I have completed NaNoWriMo before, but even if I’m not a newbie I still learned a few things. I thought I’d share those things in a post, but I had so much to say about what I learned that the post turned into three (or maybe I just didn’t want to come up with more ideas to write about for the next few weeks 😛 ). The next two post will be about writing terrible first chapters and being a slow writer, but today’s is about (I bet you’ll never guess) skipping scenes while writing your first draft. Should we skip the scenes that are giving us trouble or will the writing police come to our door and take away our manuscript for reckless writing? Well, I’m here to tell you it’s okay skip scenes. Don’t feel like you have to write every single scene out if it isn’t coming to you. Some scenes play out in your head as clearly as if it were on an HD 40-inch flat screen TV and you can write every detail and won’t need to change much in the second draft. Other scenes are on an old black and white televisions set with a crooked antenna and there isn’t much coming through but static. Don’t feel like you have to sit there for an hour watching static. You could try to pound out a full 3,000 word scene and become frustrated when it turns into a repeat of itself every 400 words because you keep rewriting the beginning, or worse, a blank page because you just can’t seem to picture what the characters do at this point. Or you could simply skip it. But isn’t that cheating? How will my novel ever be finished if I don’t write anything? I’m not advising to do this for ever scene that gives you a little trouble. Sometimes you do need to wade through the static until the picture becomes clear, but I’ve found that it can be counterproductive to try to force a scene to happen that just isn’t ready yet. When I’m writing a story, I have five or six crystal-clear scenes. They’re usually the scenes that started the story and get me excited to write in the first place. Like J.K. Rowling’s image of a little black-haired boy on a train started the Harry Potter series. The majority of scenes are a little foggy, but become clearer as I write them. They are a bit like those scratchcards you have scratch off to see if you win. It takes some work to uncover, but the scene is there. In the story I wrote for NaNo this year I knew how the very last scene would go, but I didn’t have a clue what the proceeding three or so scenes would be. 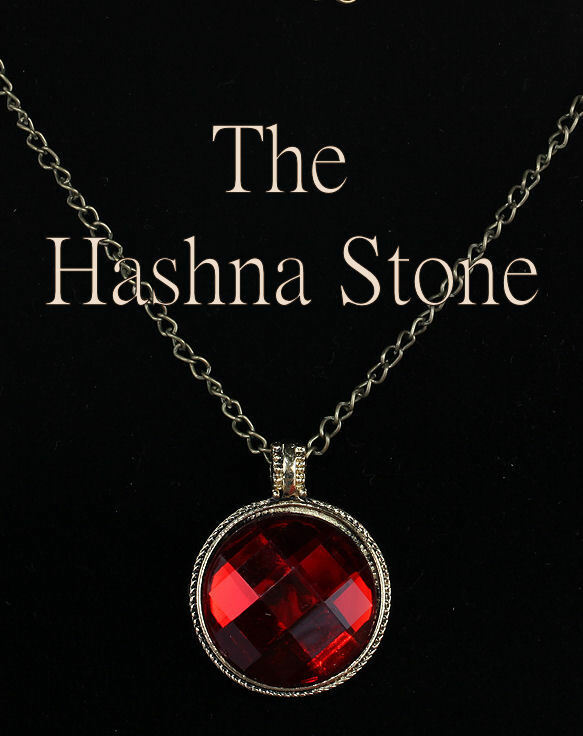 I assumed that once I got to those scenes in the first draft they would come as they did for The Hashna Stone. I typed a few lines. Deleted them. Stared out the window. Typed a few more lines. Decided I didn’t like them but couldn’t delete them because I would never reach my NaNo word-count goal like that. Finally, I wrote an explanation of what might happen in that chapter instead of trying to write the scenes out. “Why are you always burning my grilled cheese sandwiches?” Bob asked. “How I’m I supposed to make grilled cheese and mop up the mess that your muddy boots left all over the floor?” Marsha was really sick of him blaming things on her that wasn’t her fault. That way I can move on to a scene that I can actually rack up some words on instead of just staring at a blank page. Sometimes a scene isn’t working because you don’t know the characters well enough, or because there are some things you’ll add to your story in the second draft that will be built on in that scene. Say I was trying to write the scene above, and I knew that I needed Bob and Marsha to fight and that Marsha would feel unfairly blamed, but didn’t know why Marsh would feel that it wasn’t here fault. I could try to force the scene and write something silly about how Marsha wanted Bob to make his own grilled cheese sandwich or that she hated grilled cheese and didn’t care how it turned out. Or I could write a line about what I need to happen, then in the second draft when I discover that Marsha is a clean freak whose requests for Bob to take off his muddy boots are always ignored, I can write clear scene now that I know the motivation behind the action. Even though it isn’t urgent to mop up some mud, Marsha resents Bob’s negligence enough that she chooses to clean the floor over cooking for Bob. If he doesn’t care about her wishes, why should she care about his? Suddenly this scene comes to life and what was stiff actions and robotic dialogue becomes authentic. Some scenes just aren’t ready to be written in the first draft, and that’s okay. How did your NaNoWriMo projects come along? Did you ever skip some scenes in your first draft and regret it? Let me know in the comments! I completely agree. When I’m in the flow of writing and just cannot write this scene but I’m looking forward to the next, I do exactly what you say — write some notes on what’s supposed to happen here and keep going. Although if the timing works out, first I’ll go for a walk, get away from that blank screen for a half hour, and roll the scene around in my head. Sometimes I’ll get the middle part of the scene working first, or maybe the ending, and then go backwards to figure out the beginning, and voila! Words flowing on the page once more when I get back. It’s a must for me. Staring at a blank page will almost always result in absolutely nada for me. Hmm, good point. I am very lucky that I live in a super-safe neighborhood where I can walk at night without worrying (other than the risk of tripping in the dark, that is). Sometimes I think through my chapter ideas while cooking or cleaning or petting my cat, too. Just any excuse to get away from the computer and do something that doesn’t involve brainpower, so I can be thinking about the story instead. Haha…yeah tripping in the dark wouldn’t help you with your story. 😉 I’ll think about my story while driving a lot too. I have a 45 minute to hour long commute to work so it makes the drive go by faster. A commute is good for that too. It’s amazing how many minutes I can find over the course of the day to think about a story if I really turn off the distractions and get into it. Oh yes. I will be doing that very soon. I learned that back in the middle of Discovering Juliana. Had to write those HD chapters while I could see them or risk them not being as good later.